Parallax scrolling One Page teaser for an upcoming new portable Bluetooth speaker called The Blazar. 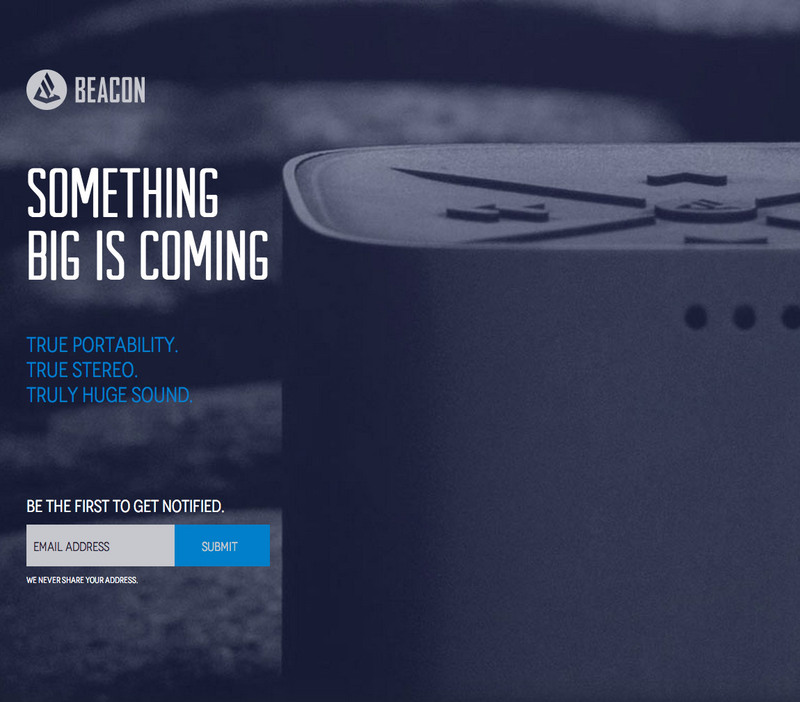 Beacon Audio is in the process of releasing their newest, biggest product to date - The Blazar. This website is a teaser for this awesome new portable Bluetooth speaker that offers tons of features including dual-stereo pairing, speakerphone and IFC technology. With the release Beacon will be offering a limited edition artist series in collaboration with Neon Trees, Awolnation and Halestorm.